Carla Neggers has been spinning stories ever since she climbed a tree with pad and pen at age 11. Now she has millions of copies of her books in print in more than 30 countries, and more than two dozen of her books have placed on the New York Times, USA TODAY and Publishers Weekly bestseller lists. 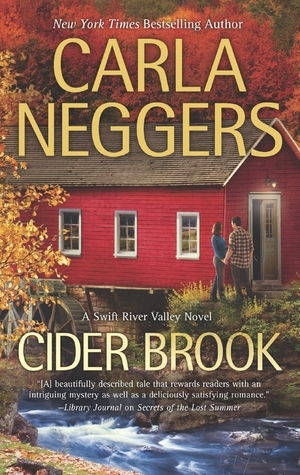 Cider Brook is the third novel in her acclaimed Swift River Valley romantic mystery series that launched with Secrets of the Lost Summer and That Night on Thistle Lane. Secrets of the Lost Summer spent four weeks on the New York Times bestseller list and garnered rave reviews, including a starred review fromBooklist and a Top Pick from RT Book Reviews. Growing up in rural western Massachusetts with three brothers and three sisters, Carla developed an eye for detail and a love of a good story. Her imagination, curiosity and sense of adventure are key to creating the complex relationships, fast-paced plots and deep sense of place in her books. Samantha Bennett slipped her grandfather’s antique silver flask into an outer pocket of her khaki safari jacket. He’d claimed the flask was from an old pirate chest, but she’d discovered in the three years since his death at ninety-six that not everything he’d told her had been factual. Harry Bennett had been a grand spinner of the strategic tall tale. He’d probably been drinking run from the flask when he’d spun the pirate-chest story. Out to dinner? Where, with whom—and why? Samantha appreciated the effect of the filtered sunlight on the original oil painting that she’d unearthed from the office closet a few weeks ago. The painting was unsigned and clearly an amateur work, but it had captivated her from the moment she’d taken it out into the light. It depicted an idyllic red-painted New England cider mill, with apples in wooden crates, barrels of cider and a water wheel capturing the runoff from a small stone-and-earth dam on a woodland stream. She’d assumed it was untitled but two days ago had discovered neat, faded handwriting on the lower edge of the simple wood frame. Her surprise had been so complete that she’d dipped into the Scotch decanter. Samantha had checked the closet for anything else her grandfather might have stuffed in there related to Cider Brook. Instead, she discovered a legal-size envelope containing about fifty yellowed, handwritten pages—the rough draft of a story called The Adventures of Captain Farraday and Lady Elizabeth. She suspected but had no way to prove that the story was by the same hand as the painting, but it didn’t matter. It had sealed the deal, and now she had Harry Bennett’s antique silver flask tucked in her jacket and her plans made for her return to Knights Bridge—a town she had expected, and hoped, she would never have to visit again. *Excerpted from the book CIDER BROOK by Carla Neggers. Copyright © 2014 by Carla Neggers. 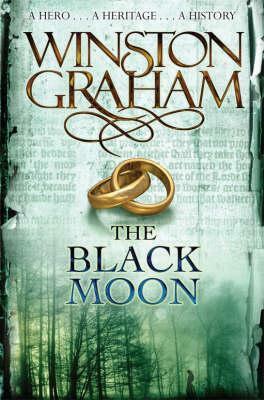 Reprinted with permission of Harlequin. All rights reserved.